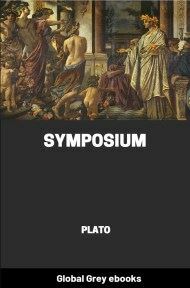 The Symposium is a philosophical text by Plato dated c. 385–380 BC. It concerns itself at one level with the genesis, purpose and nature of love, and (in latter-day interpretations) is the origin of the concept of Platonic love. Each participant, by means of very personal expositions, adds something to a body that at the end is developed by Socrates. The love to which the participants make reference is mostly a homosexual love between men. An unknown person who had heard of the discourses in praise of love spoken by Socrates and others at the banquet of Agathon is desirous of having an authentic account of them, which he thinks that he can obtain from Apollodorus, the same excitable, or rather ‘mad’ friend of Socrates, who is afterwards introduced in the Phaedo. He had imagined that the discourses were recent. There he is mistaken: but they are still fresh in the memory of his informant, who had just been repeating them to Glaucon, and is quite prepared to have another rehearsal of them in a walk from the Piraeus to Athens. Although he had not been present himself, he had heard them from the best authority. Aristodemus, who is described as having been in past times a humble but inseparable attendant of Socrates, had reported them to him (compare Xen. Mem.). Aristodemus meeting Socrates in holiday attire, is invited by him to a banquet at the house of Agathon, who had been sacrificing in thanksgiving for his tragic victory on the day previous. But no sooner has he entered the house than he finds that he is alone; Socrates has stayed behind in a fit of abstraction, and does not appear until the banquet is half over. On his appearing he and the host jest a little; the question is then asked by Pausanias, one of the guests, ‘What shall they do about drinking? as they had been all well drunk on the day before, and drinking on two successive days is such a bad thing.’ This is confirmed by the authority of Eryximachus the physician, who further proposes that instead of listening to the flute-girl and her ‘noise’ they shall make speeches in honour of love, one after another, going from left to right in the order in which they are reclining at the table. All of them agree to this proposal, and Phaedrus, who is the ‘father’ of the idea, which he has previously communicated to Eryximachus, begins as follows:— He descants first of all upon the antiquity of love, which is proved by the authority of the poets; secondly upon the benefits which love gives to man. The greatest of these is the sense of honour and dishonour. The lover is ashamed to be seen by the beloved doing or suffering any cowardly or mean act. And a state or army which was made up only of lovers and their loves would be invincible. For love will convert the veriest coward into an inspired hero. Pausanias, who was sitting next, then takes up the tale:— He says that Phaedrus should have distinguished the heavenly love from the earthly, before he praised either. For there are two loves, as there are two Aphrodites — one the daughter of Uranus, who has no mother and is the elder and wiser goddess, and the other, the daughter of Zeus and Dione, who is popular and common. The first of the two loves has a noble purpose, and delights only in the intelligent nature of man, and is faithful to the end, and has no shadow of wantonness or lust. The second is the coarser kind of love, which is a love of the body rather than of the soul, and is of women and boys as well as of men. Now the actions of lovers vary, like every other sort of action, according to the manner of their performance. And in different countries there is a difference of opinion about male loves. 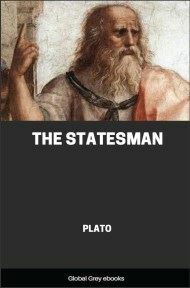 Some, like the Boeotians, approve of them; others, like the Ionians, and most of the barbarians, disapprove of them; partly because they are aware of the political dangers which ensue from them, as may be seen in the instance of Harmodius and Aristogeiton.